Spillers Happy Hoof for horses and ponies prone to laminitis, 20kg bag. Unique, low calorie, low starch fibre blend with added biotin to support healthy hoof growth. 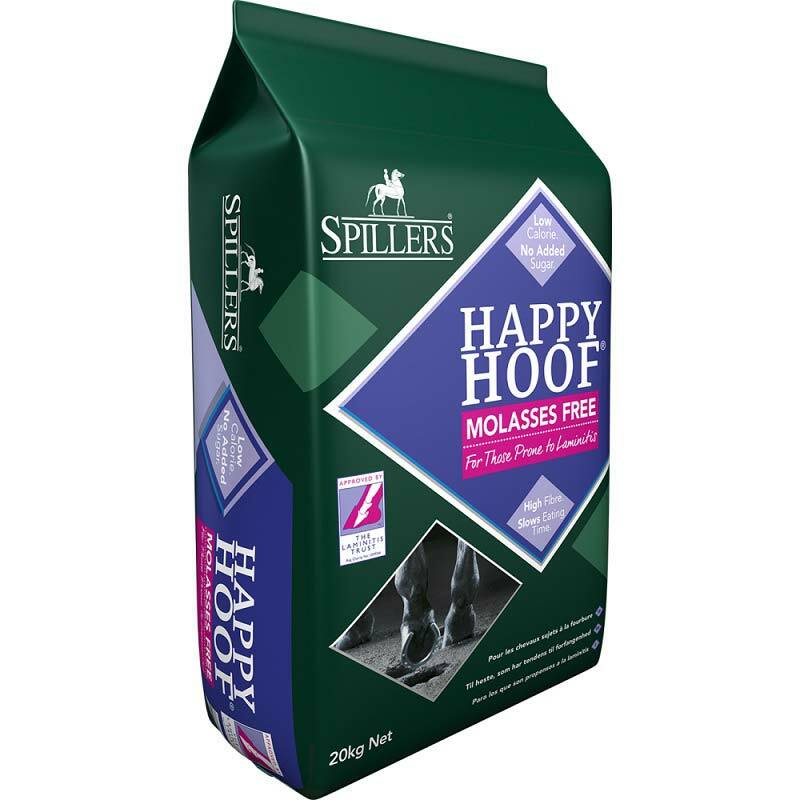 Happy Hoof is a palatable blend of straw, alfalfa, grass, garlic and soya oil and no added sugar, short chopped to extend eating time.